Today I wanted to chat distractions whilst driving. It's a topic that can save lives, make you a better driver on the road and keep you focused from the insides of your car, and on the most important aspect of driving - the road. I'll be sharing the best ways to avoid distraction from the biggest concerns for UK drivers whilst driving. This post is kindly in collaboration with Lease car, the top place for car leasing. Unfortunately as much as you may want to have a Waynes World moment in the car, head banging away to music, it's been classed as the biggest distraction whilst driving. 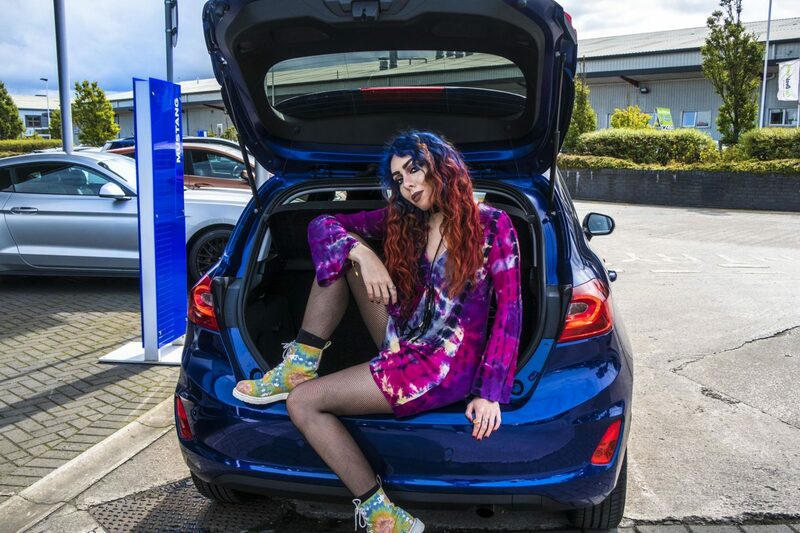 UK drivers were asked by Lease Car what they thought the least distracting genre of music was, and the results came in at 24% said pop music, 20% said classical music and 26% said listening to nothing at all was the least distraction. Whilst the results for the music distracting drivers the most was heavy metal, rock and electronic. So if you're a fan of those genres - your best bet is to turn them down a notch so you can concentrate on normal, law abiding driving. Although it might be tempting to have a quick nibble when you're spending lots of time on the road. Snacking is considered a huge issue when it comes to your concentration. It shows that 32% of people eat whilst driving, with 30% of people are more likely to grab a quick snack or lunch on the go - you should always stop off and enjoy your snack as much as possible, you've paid for it so why not spend a few minutes in a car park lapping it up. You've no doubt been on a road trip and had travel sweets or snacks in the car. Try to be less tempted by having chocolate, sweets, fast food and sandwiches, you can switch it up to healthier options when you're stopping off to replenish your energy and concentration levels with nutritious snacks like fruit, its and popcorn. Not only are you doing your body more good, but it's a better alternative for keeping up slow releasing carbohydrates which help reaction time and keep you more alert on a long distance drive. We all know someone who has decided to whip out a pot of powder or their lipstick during a quick moment at the traffic lights. In fact, 10% of women have applied makeup whilst stopping at traffic lights. As well as a whopping 45% of women who were surveyed who are most likely to apply lipgloss or lipstick in the car. Obviously staying away from more time consuming and concerned activities like eyeliner and blusher. Your eyes should be on the road, where ever you intend to be, your makeup can wait until your final destination. Nearly 6 out of 10 people drive with children in the car. Obviously it can be quite difficult having to occupy other passengers, but it can also have detrimental results if conducted incorrectly. There's a huge tendency to use the rear mirror to talk to your children, or even turn around. It certainly helps if you have another person in the car to occupy them, as your goal focus is to watch out for other cars, animals on the road and getting to your destination. Try to use driving time as quiet time, as 31% of parents have stated it's their time to stay silent. This also applied for pets, try to put your pets in the back seat or boot, and make sure they're strapped in and don't put them in the footwell as this can be more dangerous.